I am very excited to introduce you to MaPaw’s newest members. The best part….THEY ARE BOTH GIRLS!!! Mya is on the petite side, but don’t let her size fool you! 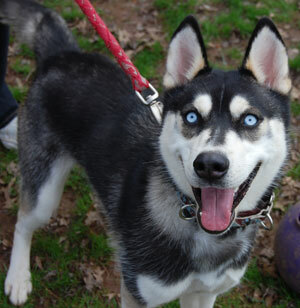 She is full of energy and is always looking for a good game of chase with her Husky friends. She came to MaPaw when her owner could no longer care for her. She is settling into her foster home and is learning her manners from the other pups in her foster home. This little lady is busy making friends with everyone she meets! Two days later, Miss Daisha joined her MaPaw foster home. She somehow found herself at a local shelter and when they asked MaPaw for assistance, we were glad to be able to help. 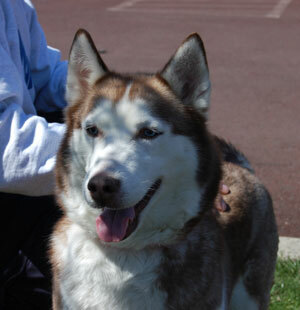 This little lady is a love bug and can’t wait to give sweet Husky kisses to everyone she meets! Ebay Auction Now in Progress!! !